If you have recently established your own business, or are thinking of doing so, there are a lot of obstacles that need to be dealt with in terms of finance. Registering with the Revenue Commission & Companies Registration Office, establishing a business bank account, finding investors, and ensuring that you understand what can or cannot be done with your business’s finances. The last thing any new entrepreneur wants is to be caught out on financial discrepancies, especially if they are truly unintentional, as these can lead to fines, settlements, the seizure of assets, liquidation, or even jail time. As the legal system is so complex, most people will choose to avail of professional services, such as a corporate lawyer or business accountant, in order to guarantee that everything is done correctly. Once the business is up and running, most of these services are only required sporadically, but one service you might hear about more often than others is bookkeeping. When done well, bookkeeping should be an ongoing, even daily, process. While some people may choose to do their own bookkeeping, especially in the beginning as a money saving measure, most businesses stand to benefit from the use of a dedicated bookkeeper. But what exactly does a bookkeeper do? The primary responsibility of a bookkeeper is to keep track of every single financial transaction within a business. Bookkeepers are required to compile a complete record of all money that moves through a business in a general ledger, which is ultimately the book that they are keeping. This means that they are responsible for recording all revenue taken in by the business, as well as all costs incurred by the business. But there is more to the role of a bookkeeper than just collecting all of the data and keeping it in one place. They are also responsible for making sure that each one of these transactions is placed in the appropriate category. An amateur bookkeeper may oversimplify this, classifying transactions as either an expense or revenue. 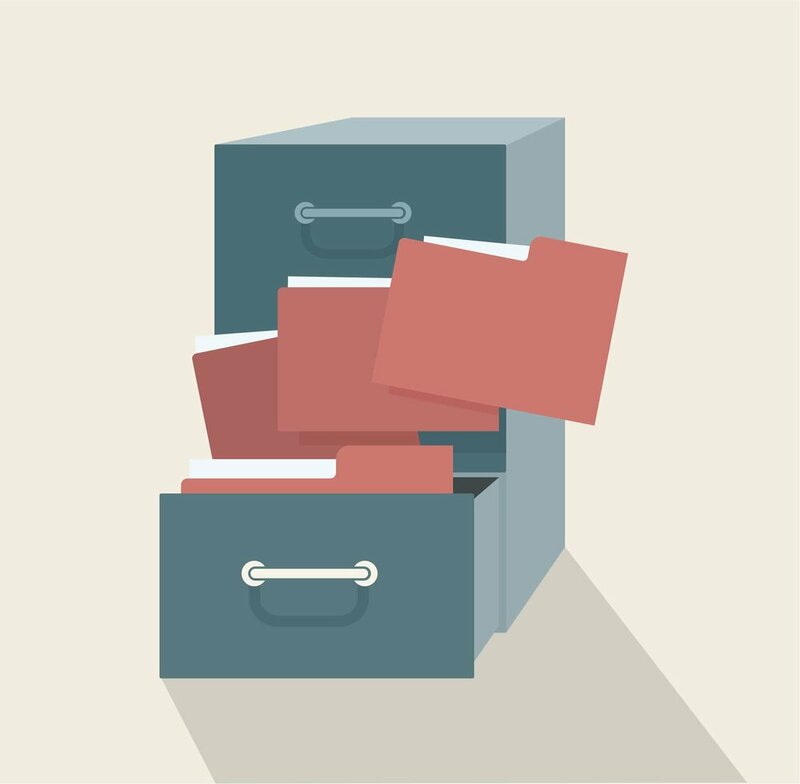 While every financial transaction will ultimately fall into one of these two categories, that is simply not detailed or organised enough for record keeping. Alternatively, an amateur bookkeeper may misgroup certain transactions based on their own train of thought, and not in a way that best fits the realities of financial reporting. For example, a small business owner doing their own bookkeeping may want a sum total of how much they spend on insurance, and may lump car insurance in with general liability insurance and employee health insurance. Although these are all forms of insurance, in the world of professional bookkeeping, they are completely unrelated, and would be categorised as travel, operational, and employee benefit expenses respectively. Proper categorisation is crucial in avoiding a situation where the wrong rate of tax is applied to an expense, or possible deductions are missed. In terms of their actual workload, bookkeepers are expected to calculate total revenue by adding up all receipts and tracking accounts receivable, ensuring that any money owed to the business is received on time. At the same time, they are tasked with tracking accounts payable, ensuring that any debts a business owes are paid in a timely fashion. They may also place and pay for purchase orders, draw up and issue invoices, and monitor the hours worked by employees to handle payroll. In order to fully understand what the role of a bookkeeper is, it is important to understand what it is not. Although their work may appear similar from an outsider’s perspective, bookkeepers should not be confused with accountants or auditors. For most people, the word “auditor” has some pretty negative connotations associated with it. While many larger companies will choose to use internal auditors to improve the efficiency of their operations and minimise risks, most auditors you will encounter in business will be conducting a review on behalf of either the government or investors. In the hierarchy of these easily-confused jobs, an auditor is essentially the top of the pyramid. The “book” stops with them, as it is their job to search for any mistakes (or misrepresentations) made by bookkeepers or accountants, identify the true financial health of a business, and sign off on it. While many people who do their own bookkeeping will also analyse and interpret the data themselves, especially now that bookkeeping software makes it so easy, that is typically the role of an accountant. A professional bookkeeper’s job is to collect and organise all the data available, before handing it over to an accountant to interpret and translate into simple, practical terms that can be used to make business decisions. Accountants assess the financial health of a business and convey this to the owners and management by summarising the information and drawing up financial statements. At the same time, they are tasked with reviewing the information provided to them by the bookkeeper, to ensure that all the correct procedures have been followed, and identify any mistakes. The role of a bookkeeper is a very important one to any business. They are the ones who collect and organise the data upon which other members of the business will base their decisions. In the same way that a laboratory receiving the wrong samples will make their findings null and void, a bookkeeper providing incorrect or incomplete information will have a trickle-up effect that could have massive ramifications and seriously hinder a business’s prospects of success. In the business world’s neverending fight for customers, bookkeepers are your boots on the ground, and their impact should not be underestimated. They say there are 10 types of people in the world: those who can read binary, and those who can’t. Whether you get the joke or not, the fact is that for most of us, maths is never fun or easy to understand. It is usually a difficult chore. This is a large part of the reason that so many business owners choose to outsource their bookkeeping and accounting services. Even if you are one of the more mathematically-minded people, these are thankless, complicated, and time-consuming tasks with a lot of different moving parts, so most people will be happy to hand them over to someone else. There are a lot of advantages to having access to expert knowledge when it comes to the financial side of your business. While your first instinct may be joy that you don’t have to spend hours every week adding up your costs and expenses, a good financial professional can offer a lot more than just carrying out the menial tasks of addition and subtraction, so here are some tips in how to get the most value from your bookkeeper and accountant. If you are a small to medium-sized business, you are not likely to have a dedicated bookkeeper or accountant on-site, as the volume of work simply won’t be there. You are much more likely to hire an external service, and although you might be inclined to think that being closer to the business is better, it can be a real advantage in having someone who is one step removed involved. Having someone who is inextricably linked to the business means that they are closer to the business, and the people who work within it. It is easier for their judgement to be clouded by the passion they feel from the team on the ground, or their perceived experiences that business is getting better, it just needs more time. They are also less likely to confront you with negative opinions or harsh realities if they have a close personal relationship with you. And if the finances are being looked after by just one of several business partners, there is always a risk that they will distort the truth, or even just be suspected of doing so. Having someone who is no only an expert in their field, but an unbiased one when it comes to your business, eliminates these problems. They can tell you when things aren’t working or when the numbers just don’t add up, and the risk of manipulation for personal gain is greatly reduced. Many small business owners, especially those who are just starting out, see keeping their own books as a way to save money. This is a reasonable technique, especially at the beginning when the volume of transactions is low, but as the business progresses, a professional can help you cut costs in a lot of different ways. One of the main problems with running your own business is that you get used to doing what you do, and you may be unaware that there are better ways to do it. This can apply to things like taxes, where you may not be taking advantage of all the relief or schemes available to you, as well as your employment structure, where you may be better of hiring a contractor rather than a part-time employee, for example. But then there are also the day-to-day operations to which you may have become blind. You may be leasing a piece of equipment that isn’t giving you a return, or be devoting your time and resources equally to different sides of the business, even though one is stagnant, while the other has the potential for exponential growth. An accountant will constantly be monitoring these trends, looking for ways to save money wherever possible, so even though you’re paying them, you’ll often save more than you spend. Another disadvantage of taking care of your own finances is that you probably haven’t seen the finances of any other business in great detail. These severely limits your experience and means that, no matter how well you may know your chosen field, you have no benchmark by which to measure the success of your business. No accountant or bookkeeper is going to show you the behind-the-scenes of another business, but unless you are in a particularly niche sector, outsourcing these jobs means you are likely to get someone who has experience in that area. Through their experience of crunching the numbers for different businesses in the same field, they will get an invaluable sense for what is normal, what is a red flag, and the kind of changes you can implement to have a big impact on the trajectory of your business. If they have been doing this for years, they can also open a lot of doors in terms of accessing other reliable professionals that can help you take your business to the next level. You may be employing them to do your numbers for you, but don’t forget that they know a lot more than that. Running a successful business isn’t just about bringing in more than you send out. The timing of when your money comes in or goes out also has a big impact on your ability to run your business successfully. Keeping track of when your bills, invoices, loan repayments, and payroll need to paid can be a lot to manage, and it is quite easy to forget something. Not only are both bookkeepers and accountants less likely to overlook payments due to be received or settled, they are experts at arranging them in the best way possible. As we have noted before, cash flow is one of the main concerns for a lot of Irish SMEs, with half being forced to lay off employees as a result of late payments. An accountant or bookkeeper can help you arrange your accounts payable and accounts receivable in such a way that you have a steady flow of cash moving in and out. This not only allows the day-to-day operations of your business to run smoother, it can also affect your reputation and credit rating, which have a material impact on your ability to do business. There are few people in the world that see taking care of their finances as a fun or easy task, so most people are happy to hand it off to someone else at the earliest opportunity. But when hiring a professional, remember that that’s what they are: a professional. You’re not hiring them to do the same job you were, you’re hiring them to do a better one. They have devoted their working lives to this field, and they will undoubtedly have more insight and knowledge than you. So seek their advice as much as possible, and take it on board. Never stop asking how you can improve your numbers and your business, and you will quickly find that it becomes a lot easier to do so. When starting a new business, a lot of entrepreneurs choose to do their own bookkeeping, at least in the beginning. Although this is usually done as a money saving measure, it is always a good idea to familiarise yourself with as many aspects of the business as possible. If you choose to take on a bookkeeper further down the line, you will have a much better understanding of the skillsets they should have, as well as an improved ability to spot any discrepancies or mistakes they may make. While doing your own bookkeeping can have its advantages, it can also be a complex and time-consuming task. Unfortunately, making even a small mistake when it comes to money can have enormous logistical and legal ramifications, and can put your business at serious risk. To help avoid this, we’re going to look at some of the most common mistakes people make when it comes to bookkeeping. The cardinal sin of bookkeeping is using your business account for personal expenses. From a purely practical point of view, this just creates more work for yourself later on. Any personal expenses that are charged to your business account need to be recorded as an owner’s draw rather than an expense, or simply reimbursed to the business account. While it is not the end of the world if you accidentally use your business card rather than your personal card, it will take more time to balance your books if you do it regularly, and will skew any analytics you may perform. Furthermore, if you ever get audited, mixing your personal and business expenses is not a good look. From your own perspective as a business owner, the only thing worse than muddied records is no record at all. Absolutely every expense, no matter how small, should be recorded. It may seem as though including receipts for small amounts is creating more work than it is worth, but these small amounts add up over time. Omitting them will not only lead to a situation where your expenses appear lower than they truly are, which will impact your analytics and decision-making, but will also make it seem as though some of your cash has simply vanished. Once again, this could reflect badly on you in an audit, as it may appear that you or another staff member is slowly siphoning money from the business. Everything, right down to the amount of money in your petty-cash, should be recorded. Bookkeeping may be a legal requirement in order for you to ensure you are paying the right amount of tax, making the appropriate deductions, and so on, but there’s no need to view bookkeeping as nothing more than a necessary evil. When done right, bookkeeping can be one of the most powerful assets in your business arsenal. A comprehensive and properly categorised ledger allows you to identify both positive and negative trends, and make well-informed decisions as to how you should handle your business moving forward. A large part of this is about ensuring that your expenses are properly categorised. To use a simple example, classifying legal fees as wages rather than professional services will cause your wage expenses to appear artificially inflated, which upon review could make it appear as though you are overstaffed, when you are not. By clearly and properly categorising your expenses, you will paint a clearer picture of the true state of your business for yourself, and ultimately make better decisions. Let’s face it: regulations and expectations surrounding business finance are, and always will be, complicated. Even a good bookkeeper with a well-maintained ledger will occasionally make mistakes. That is why, as unappealing as it may be, it is important to reconcile your records with your bank account. Doing this regularly, such as on a monthly basis, can help you identify any inconsistencies, and address them before they repeat or become a major problem. The point of bookkeeping is to keep a record of all transactions in one place, which can serve as the go-to reference point for any financial queries. But this often leads to a mentality that there is one book or file that is the be-all and end-all of your records, while the rest of the documentation is stored somewhere else, or simply discarded. The risk here is that if that book or file goes missing without a backup, it can wreak havoc on your business. In this day and age, there is no excuse for not having several backups. There are lots of free services such as DropBox and Google Drive where business owners can safely store files for free, eliminating the risk of losing files if your computer is stolen or breaks down. You should also take the time to photograph the pages in your physical ledger, and email them to yourself, as well as printing off another hard copy and storing it off-site. One of the biggest disadvantages of doing your own bookkeeping is that you will not be as well-informed on all the money saving possibilities as a professional bookkeeper. This inevitably leads to a situation where people are not taking advantage of all the deductions, tax credits, schemes, incentives, and reimbursements for which they are eligible. These are often more than just small savings here and there, and they certainly add up over time, which not only costs the business money, but the owner as well. This mistake applies particularly to people who use bookkeeping software, as most of these products will see any cash that lands in your account as income. The software then automatically classifies these as such, and since they usually provide the user with analytics, things can get distorted quite quickly. Usually you can easily reclassify these and nip this issue in the bud, but if you’re not aware of the issue, it can cause problems further down the line. Bookkeeping is not an easy or enjoyable process, but it is a extremely important one. All of the mistakes listed above can easily be made by intelligent, well-meaning individuals who are simply overwhelmed by all the different aspects of the tasks. Familiarising yourself with the bookkeeping process is a good idea, and can be very helpful in the early days of a new business, but once you find your footing, engaging the services of a professional bookkeeper is an investment that is definitely worth considering. Bookkeeping can be a complicated process, but it is also an extremely important one. Every business in the world ultimately boils down to financial management, and whether or not you are taking in more money than you are spending. But achieving a profit is about a lot more than just selling good stock at the right margins. 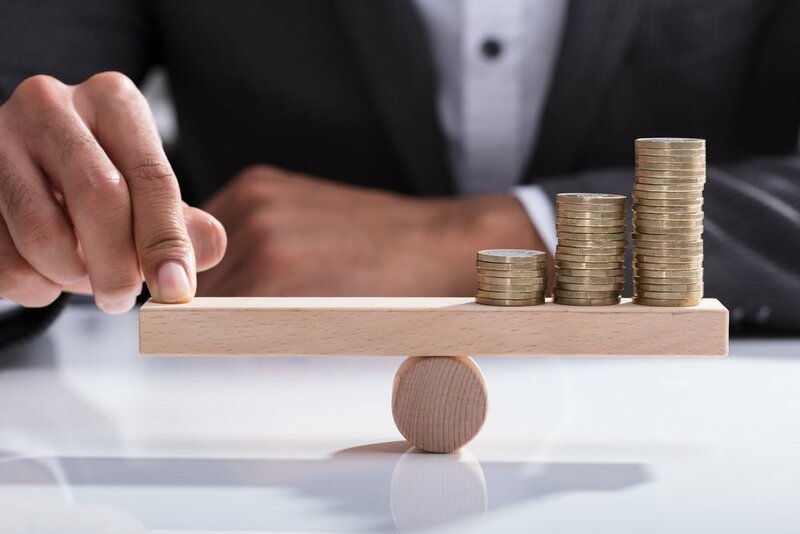 Your bottom line is affected by a myriad of factors, such as stock, price, overhead costs, interest on loans, wages, taxes, and much, much more. Bookkeeping is often seen as a relatively straightforward task that is simply time-consuming, but the truth is people are frequently surprised by its complexity, and the curveballs it can throw. Since it is fundamental to the success of your business, here are 5 tips that will help you improve your bookkeeping. A good bookkeeper should record every single financial transaction within a business, regardless of their size. This means tracking all income, and all expenses, but it does not mean you should just track them together. Ideally, you should be keeping three separate books: one for revenue, one for expenses, and one for both. Recording all transactions in a purely chronological order can be a useful tool if there are any discrepancies in your numbers, but most of the time it just makes it more difficult to calculate your total revenue and expenses, and makes it more likely that you will make a mistake. Having three separate books make it easier to calculate your totals, and gives you a reference to make sure everything has been calculated correctly. At the same time, you need to ensure that you are using the correct subcategories in your books. Wages and utilities are both forms of expenses, for example. But many businesses will find that their wage bills will fluctuate dramatically depending on the day of the week or time of year. Your utility bills, on the other hand, will remain relatively static by comparison; the lights will still be switched on whether you have one member of staff on shift, or ten. Lumping these expenses together will reduce the statistical significance of these fluctuations, and will make it harder to identify any negative trends, such as being overstaffed. Keeping three separate books is a great way to double check that your numbers are correct when all the additions and subtractions have been taken into account. But no matter how careful or mathematically minded you may be, it is inevitable that you will make some mistakes. Your books are an extremely important resource in terms of both the law and business planning, but at the end of the day, what matters most is the money sitting in your account. Regularly reconciling your books with your bank statements is crucial to ensuring that the records you are working with reflect the reality of your financial situation. Whether you have mistakenly recorded an invoice as paid, or failed to take into account a recurring direct debit charge, there will be inconsistencies between your books and your statements. The longer you go without reconciling the two, the harder these mistakes will be to identify, so you should be doing this once a month at the very least. As we may have already mentioned, proper bookkeeping is essential to ensuring the success of your business. But even if you have the most beautiful, well-kept records in the world, they don’t mean a thing if you can’t find them. Misplacing a single invoice can be pretty inconvenient, as you may forget to collect money you are owed, or suddenly get hit with a forgotten bill. Losing your general ledger can be absolutely detrimental to your business, and could land you in a lot of legal trouble. In this day and age, there is absolutely no excuse for not having these records backed up. Services like DropBox or Google Drive will allow you to store files online for free, while apps like Expensify allow you to photograph receipts and invoices so you can create digital copies of physical invoices. These can then be easily accessed in one place, and can also be inserted directly into most forms of bookkeeping software. Getting into the habit of doing this every time you send or receive a new invoice is an easy but extremely effective way to reduce the risk of mistakes. Despite the fact that transfers, payments, and loans all amount to cash in the bank, these three things will affect your business in very different ways. Payments are the most straightforward, as this is money you are owed, have received, and can spend as you like. All you need to do is remember that it will be taxed. The main risk with transfers is that they can lead to situations where a payment is added twice, especially if you are using bookkeeping software. If a client pays through an online service such as PayPal, you may record the invoice as paid. But when you transfer it to your account, most software will automatically classify it as income, rather than a transfer, and this needs to be changed manually. Failure to do so can create serious discrepancies in your accounts, especially if you allow the funds to build up before being transferred, or make the transfer in a different month. The problem with loans is that they can make your financial situation appear healthier than it is at a glance. Although a loan is cash that you are free to spend however you like, it is simultaneously an expense that is growing all the time as a result of the interest attached. Failing to recognise this distinction not only misrepresents the financial health of your business, it leaves you exposed to additional expenses. Many entrepreneurs who are just starting out in business, or are running a small operation, will choose to do their own bookkeeping in the beginning. This is usually seen as a way to cut costs while the business finds its feet, although it can also be an educational experience. When you have a reasonable grasp of bookkeeping, you can communicate more effectively with financial professionals. But the fact is that the subject matter is extremely complex, which is why people train for years to do these jobs. Not only should you seek professional advice early on to make sure you are going in the right direction, a bookkeeper should be one of your first investments when you can afford it. Hiring a bookkeeper will save you a lot of time, and probably a good bit of money too. They will help reign in any unnecessary costs, ensure you are paying the correct tax rates on everything, steer clear of any legal issues of which you may be unaware, and reduce your risk of being hit with unexpected costs. While paying them may appear to be an expense on paper, the time, money, and uncertainty saved is well worth the investment. Bookkeeping is far from the most enthralling aspect of running a business, but it is one of the most important. Improper bookkeeping places the viability of your business at serious risk, you should recognise that hiring a bookkeeper is hopefully inevitable, as the workload becomes too large and complex for you to handle with a reasonable amount of reliability. The fact is that bookkeeping is, and always will be, a complicated process, and if there is one area of business where you definitely want to minimise the risk of mistakes, it’s your finances. Do you have questions? Leave a comment below and we’ll respond as soon as possible. Every small business should have a good bookkeeper. If you run a small business, particularly one that is just getting started, your finances will be at the forefront of your mind. You will likely have a plan for every penny in your pocket, and will be doing everything to keep costs as low as possible. For these reasons, you may think that hiring a good bookkeeper is a luxury for further down the road, when really it could be a factor that makes or breaks your business. Below are five reasons your small business needs a bookkeeper. Even if you’re a mathematical whizz who got straight As in school, bookkeeping takes a huge amount of time and effort to do properly. Money is coming in and out of every direction, and it quickly becomes very easy to lose track of things. Trying to keep on top of it when there are a million other aspects of your business calling out for attention is a difficult thing to do, and then there come the moments when you realise the final tally doesn’t add up, and you have to go through everything again to find where it all went wrong. In the end, bookkeeping is a black hole that will literally devour your time and pull you away from other tasks. When getting started out in business, it’s not unusual for there to be a little bit of disarray, and many suppliers will be somewhat forgiving of this. To a point. But if you are constantly paying late and allowing bills to stack up, people begin to lose their patience rather quickly. More importantly, if you are sending out invoices inconsistently, your incoming cash flow will be inconsistent, which means your outgoing payments will be too. If you don’t know how much money you’re going to need and have at any given point, you may suddenly find yourself unable to replace stock, because your outstanding bills are so high, even if your customers have assured you that their cheque is in the mail. All businesses ultimately boil down to finance, and this level of inconsistency and uncertainty will ultimately come back to haunt you. If this is your first business, you will be familiar with the fear you feel when you lock the doors after an abysmal day of trading. That same mindset can put dollar signs in your eyes when you suddenly have a day that goes much better than expected, but it’s important not to lose the forest for the trees. One day of doing twice as good as expected is not enough to cancel out three days of weak sales. With proper bookkeeping, you’ll know how much you need to bring in to keep the doors open, not just in a day, week, or month, but all year round. Without a firm target in your sights, it is easy to think things are going a lot better than they are until it all comes crashing down. When you hire a bookkeeper, you should remember that you are not just their employer, you are their customer. They want you to keep bringing in cash, because that means they will too. They may not feel the same love and passion for your business as you do, but that also means they won’t be as blinded by fear when things get tough, and will be able to assess the situation in a more logical manner. Furthermore, while this may be your maiden voyage, they will have navigated troubled waters before, and the benefit of that experience is invaluable when it comes to course-correction. The bottom line of your business is your bottom line, so if there is one area where you want logical, expert advice, this is it. The business world is not just complex because of things like calculating profit margins or estimating supply and demand. Whether they come from the Irish government, the EU, or the WTO, regulations abound, and there will be countless challenges, expenses, and blockades that you never would have considered. Similarly, there will be advantages, incentives, breaks, and aid that you may never find on your own. With so much to think of already, a firm and accurate grasp of the legal systems in which you operate is not something you will pick up overnight, but a simple, honest mistake can wreak havoc on your ability to operate. Rather than trying to figure things out as you go, hiring a bookkeeper and learning through observation will serve you best in the long run. For many new entrepreneurs, hiring a bookkeeper may not seem like the most pressing issue. Most are fired up about their new business, and are trying to do everything they can to make it work. But doing everything you can does not mean doing everything yourself. It may appear that holding off on a bookkeeper is keeping costs down for now, but it is only when you see the cost-benefit analysis in action that you’ll realise how much bang you are truly getting for your bookkeeper. Good bookkeepers are as frequent as rain in Ireland but a truly great bookkeepers are as rare as a week of sunshine. As a business owner you need to recognise the impact a bookkeeper can have on your business Being so rare it’s difficult to hunt a great bookkeeper down but here are some tips on how to know one when you see one. Great bookkeepers take the time to adapt to your business and understand how you operate so they can make sure that the processes are as simple and efficient as possible. They will be able to identify opportunities for your business to be more organised, labour-saving and efficient. Great bookkeepers are great communicators they are able to explain complex ideas in easy-to-understand ways, if your bookkeeper regularly uses accounting and bookkeeping jargon, the conversations you have will feel restricted and unproductive. Look for someone who’s willing to communicate key concepts at a pace you’re comfortable with, and don’t be afraid to ask questions! What may seem like a good bookkeeper to most could be a great bookkeeper in your industry. Working with a bookkeeper who has expertise in Legal bookkeeping would be very different than working with one who has experience with retail. Specialised bookkeepers can provide reports on how your business is performing month-to-month, and have an idea of what success metrics look like in your industry. A sign of a really great bookkeeper is one who is up to date on what is happening in the bookkeeping, accounting and technology spaces. The bookkeeping and accounting industries have evolved considerably over the past few years due to changing technologies. When bookkeepers utilize the latest business software and technologies, it shows that they’re committed to increasing efficiency and providing a more robust service. Great bookkeepers should be explaining to you and encouraging you to use technology to save time and money by automating processes with cloud accounting packages. Finally, the relationship between a client and a bookkeeper is sacred. Most people won’t share their financial details with friends or even family, so it is important when picking a bookkeeper that it is one you can trust. Great bookkeepers are transparent with things like billing and pricing, they’re responsive and you never have to question what kind of value they’re adding to your business, you are one of the lucky ones that have a great bookkeeper. Should you do your own bookkeeping? Similar to the DIY mentality of the husband doing the plumbing, probably not. Except in this case instead a flood of water in your kitchen you have a flood of paperwork in your office leading up to an audit. It’s not a question could you do your own bookkeeping, it’s not even a question of why should you, it’s a question of why would you? Here are 3 reasons why doing your own bookkeeping isn’t in you or your businesses best interest. Oftentimes business owners are notorious for Micro-managing. Observing and undertaking any and every task that the business needs. This is unnecessary stress inducer, learn to trust in the ability of the people you hire. You can’t control everything in business. Trying will only lead to frustration. Control the things you can. Attempting to be the jack of all trades will lead you to be the master of none. A lie business owners tell themselves when deciding to do their own bookkeeping is that they will make time. Realise that you are highly skilled and that your time has value, after all time is money. If you're hell-bent on being in control of your business's financial health, then you likely need to make the time commitment. Why not commit your time by focusing on what you do best? It is almost normal not to enjoy maintaining accurate accounting records, it’s a tedious task that can have you leaving the office drained. This can change your outlook, motivation and efficiency in the workplace in a negative way. Don’t under estimate the power of a positive mind-set on not only your work efficiency but the impact it can have on your personal life. Is your bookkeeper retiring? Here's what to do next. Bookkeeping is most likely not your forte and now that your bookkeeper is gone, you might be feeling more lost than ever. Find the silver lining and view this situation as an opportunity for you to rebuild how your business financials are being managed, and assess what other aspects of your business can use some fine-tuning and implement. Technology is ever changing in the world of bookkeeping and a new bookkeeper armed with the latest tech and strategies can greatly benefit your business. As you get ready to start fresh, take some time to consider what your options are. When you’re considering who your next bookkeeper will be, don’t be afraid to ask hard-hitting questions. Look for someone who will nurture the business relationship, who specialises in your particular industry, has a positive track record with their other clients, and someone who’ll go the extra mile. Also, it is important that you ensure a smooth transition and get all of your latest financial reports and files from your old bookkeeper. Your new bookkeeper needs this data to do their job efficiently. 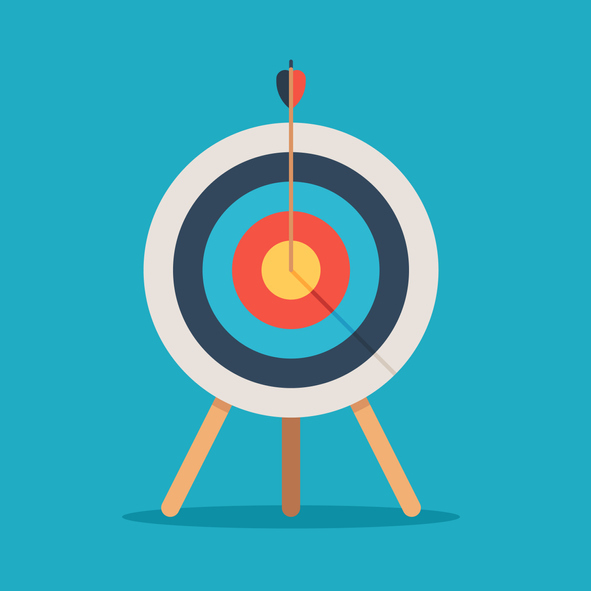 Accuracy is essential in bookkeeping. Without proper records it's a dangerous guessing game at your expense. It's important to know the signs of a brilliant bookkeeper before finalising your selection. At Shelbourne Accountants our bookkeepers have experience in a variety of industries which allows them to offer sound practical advice to assist you in the day to day administration of your business.